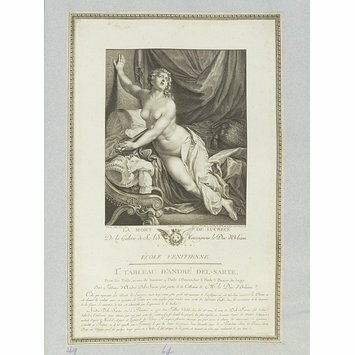 The Death of Lucretia; After Andrea del Sarto; Print on paper. Engraved for the Orleans Gallery. 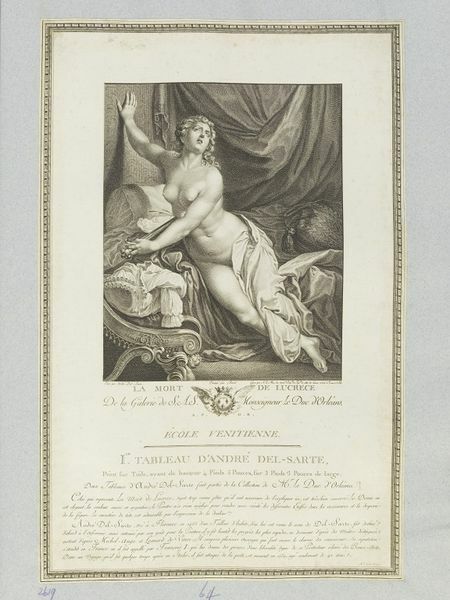 The Death of Lucretia; After Andrea del Sarto; Print on paper; By Noël Le Mire; French School; Mid 18th - early 19th century.